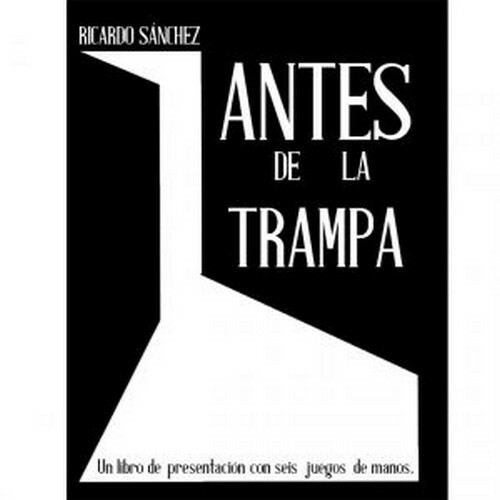 Antes de la trampa brings together everything I know of presentation and script applied to magic. I understand that presentation and effect form a unit that can not be separated and, from that idea, I develop all my work. Without losing sight of the fact that the impossible is the magician's language, I offer you a wide variety of tools to communicate your inner world through magic. You will also learn to polish your scripts to make them work better, to choose the right words and to structure your talks with a simple method. Here I offer you all my creative process. My way of incorporating new pieces to my repertoire from the perspective of what to tell. You will learn to have more personal and unique tricks. Through the study of Aristotle we will discover the way in which our presentations go deeper into the spectators. From the hand of Alfred Hitchcock we will investigate the drama, the mystery and the impossible. We will visit all kinds of scripts and their particularities, the best way to interact with the spectators ... As theory can not exist without practice, you will see for the first time described six of my most personal games. Mentalism and card magic so you can start working from the first moment.